Woot! 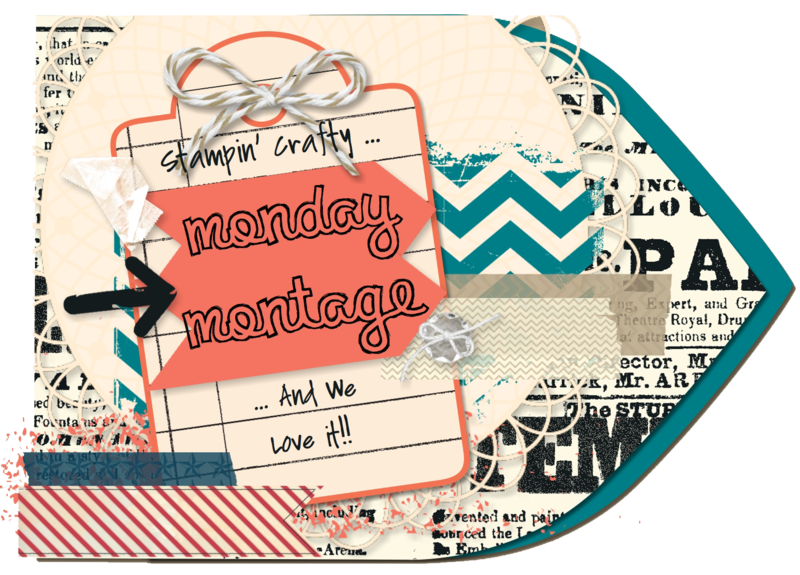 It's time for another Monday Montage Blog Hop!!! 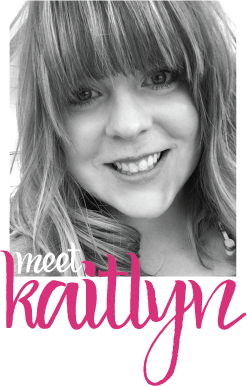 Everybody always pulls out the stops for this blog hop, so I can't wait to see everything! Today I have a set of 3" X 3" cards made with the Just Sayin' stamp set and coordinating Word Bubble Framelits. This is such a fun stamp set! 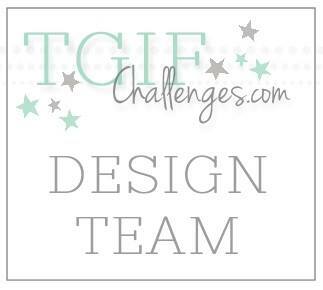 Here I used it in Coastal Cabanna, Night of Navy, and Tangerine Tango, a great gender neutral color pallet. I also threw in a little bit of Gorgeous Grunge to add some interest to some of the cards. On the card on the left, the circles were made with a Sponge Dauber, and the Tangerine Baker's Twine is from the Tag-a-Bag Accessory Kit. The little heart is included in the Just Sayin' stamp set (awesome!). 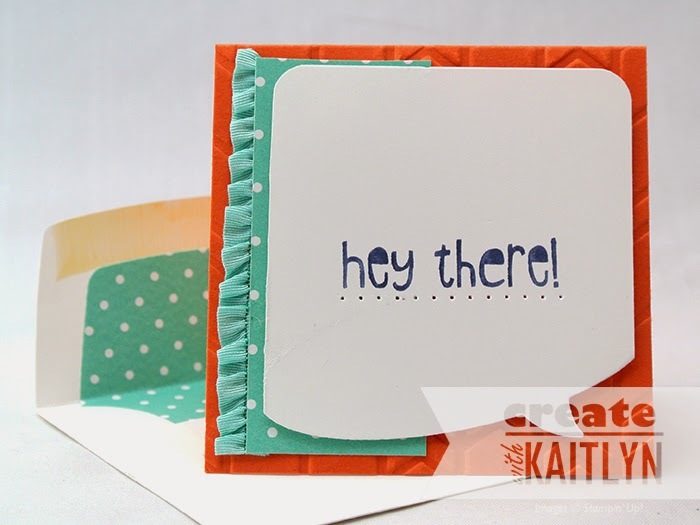 On this card, I used my Night of Navy Stampin' Write Marker to just color the "Hey There!" instead of the whole word bubble. I made the unique word bubble shape by feeding the paper through the Framelit, so that the top of the paper sits over the top of the die. This way only the bottom gets cut! (Update: See a tutorial here.) Also, the envelopes need to match the cards, and the Envelope Liner Framelit Dies are the perfect way to do that! Again on these cards I used my Stampin' Write Markers to color the words different from the word bubble. The Coastal Cabana word bubble on the left is the cut out from the card on the right. This is a great way to get the most out of your paper! 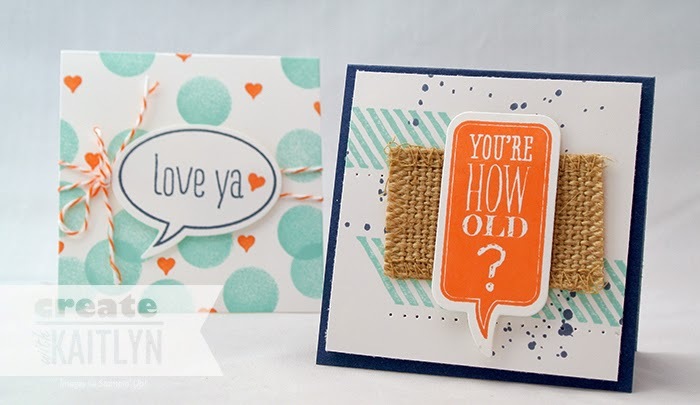 The Burlap Ribbon on the right card was trimmed down so it wouldn't show in the word bubble cut out. Of course if you make a set of cards, they need some sort of packaging. I just made an envelope to hold the cards with Vellum Card Stock and the Envelope Punch Board. 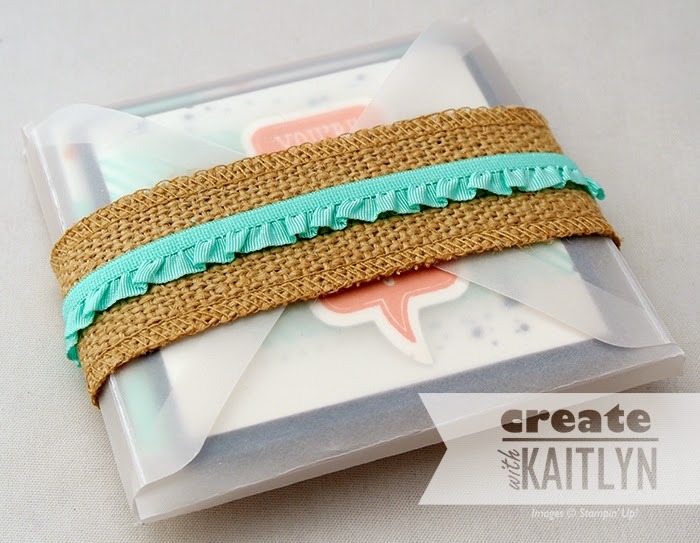 The Burlap Ribbon and Coastal Cabana Ruffle Ribbon create a simple but perfect belly band to keep the envelope closed. I love that the vellum still allows for a peak at the cards! Be sure to click the "Next" button below so that you don't miss a single project! What a cute set! The cards are great and the finished package is awesome! I love vellum too! It's like a little sneak peek without giving everything away! So very cute; all of it! LOVE! TFS! These are so fun! I love them. So super cute and FUN! Love the colors and fun embellishments! What a darling set! I love every one of the cards and the vellum envelope is brilliant!